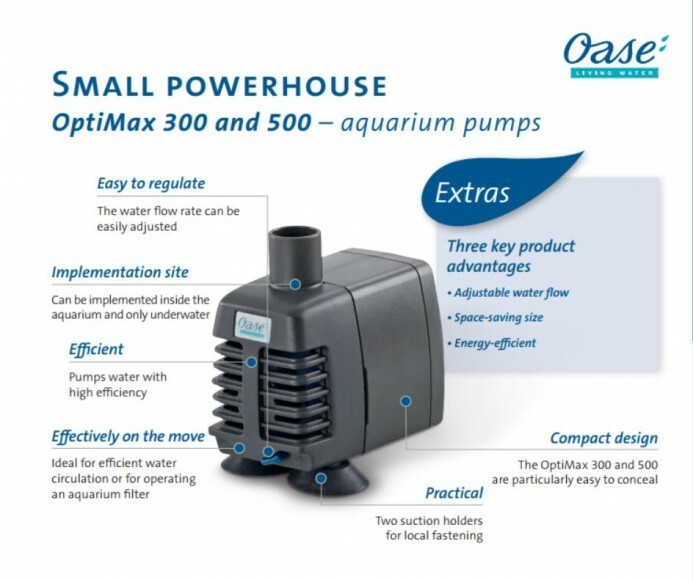 The Optimax 500 is a German engineered aquarium pump capable of reaching a maximum flow rate of 500L/hour whilst only consuming 5 watts of energy. 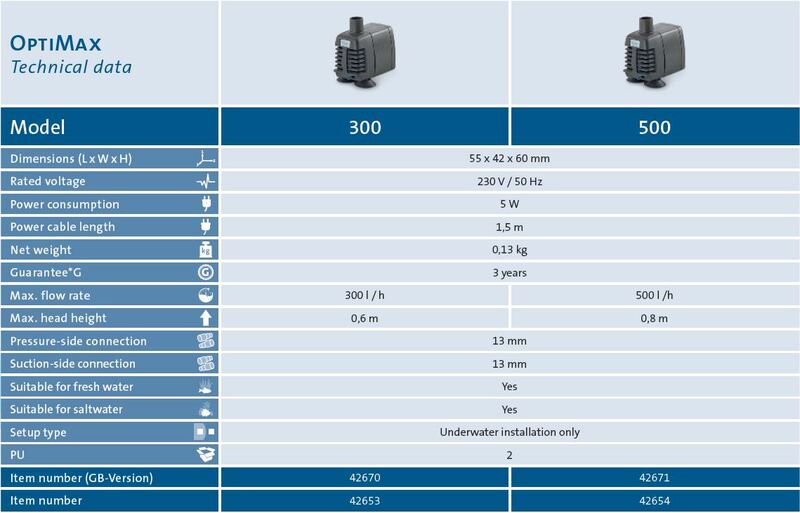 The compact design allows the pump to be easily disguised inside the aquarium and is mostly suited to assisting in the circulation of water or for operating integral filters. The pump is designed for underwater use and can pump water to a maximum height of 0.8m above the fish tank water surface. 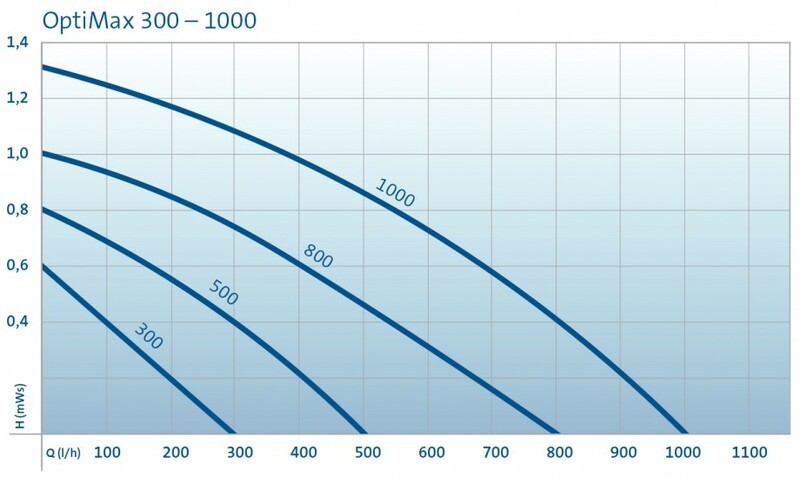 The flow rate is easily adjusted using the blue slider below the pump inlet which allows for fine adjustment of the pump output. 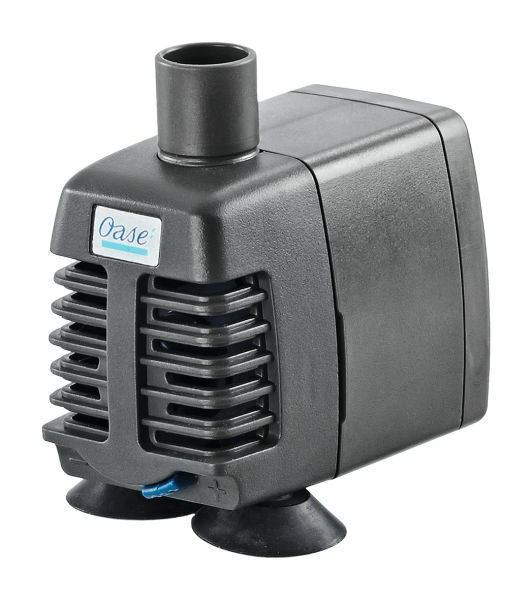 The pump can be secured to the sides or floor of the tank using the two suction cups provided.